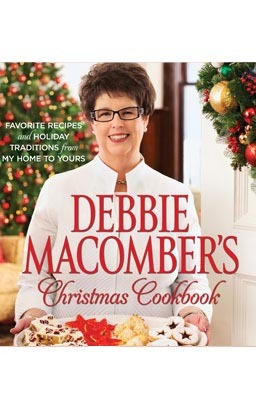 Blurb: We call her the "Official Storyteller of Christmas"—but Debbie Macomber is more than that. She's someone who loves the holiday and all its traditions. Now she shares more than one hundred of her favorite recipes to help you enjoy this most joyous of seasons. You'll also find easy-to-follow instructions for crafts, decorations and gift wrapping—everything you need to create a beautiful and festive holiday. Review: I LOVE Debbie Macomber! Always have :) And this festive collection is just hwat I needed. Not only are there some realy yummy sounding recipes , nifty craft ideas and home decorations that will bring the holiday season to life in your home, but there are amazing little peeks into her life and why Christmas is such a big part of her life.